Hyperformance blowtorch HyperTorch™ A3000 PZ with piezo ignition is ideal for all types of soldering and brazing jobs. It has effortless upside down working capabilities with only 5 seconds pre-heat time. HyperTorch™ A3000 PZ is essential tool due to its versatile capabilities: aside from soldering, it can also be used to light barbecues, defrost pipes, brazing, burning, heating, etc. 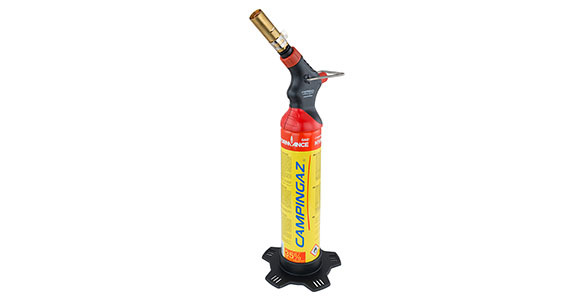 It offers up to 35% more power than standard butane gas blowtorches. The large range of adaptable burners available also provide the blowtorch with additional capabilities. Hyperformance gas cartridge included.